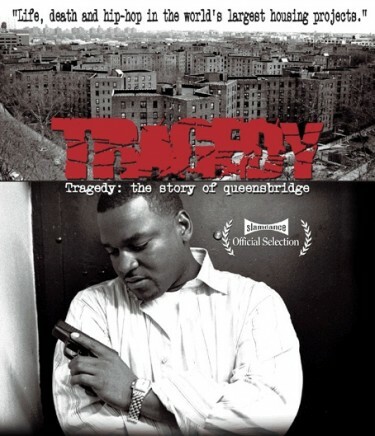 Finally got around to watching Tragedy Khadafi's documentary The Story of Queensbridge. Honestly didn't hear about it 'til way after it was out, and that was still like two years ago that I wrote myself a note to check it. So it was a long time commin'. I recommend any hip-hop head who hasn't seen it, do so immediately. I could on and on about how insightful it is and all that, but you can YouTube it or Vimeo it or whatevs yourself. Afterwards, I quickly iTunes'd Capone-n-Noreaga's War Report, which I probably hadn't heard in 13-14 years. Those Capone-in-prison phone calls are on some real ish. And the record is straight hip-hop, up and down--banging just as hard today as it did in '97. Can't argue with the $7.99 price tag either. Then I decided to Google Map "Queensbridge housing" to see where all these classic cats like Trag, Mobb Deep, CNN, and Nas come from. The "reviews" are hilarious. Dimeblock gave it five stars, "liked" it and says, "Dimeblock is the illist!" Meanwhile, nicole (who doesn't capitalize her name) "dislikes" it with one star, and--representing fans of racism and poor grammar alike--says, and I quote, "There's a lot of blacks I hate it they constantly fights and gonna shots." It might surprise you to know she didn't actually use a period at the end of the sentence. I took the liberty of adding that for her. OK, enough for now. You're going to go watch The Story of Queensbridge now, and I'm going to roll one, crack a forty, and listen to "Illegal Life." I know; not really a review, but I bet it only took a minute to read. Let's call it even. Dimeblock is nice on the comments! nicole is kind of cool too. ahhh, not far from Queens Bridge Medical Center. convenient.